Andreas Letkovsky Architecture is a full service architecture firm that delivers all aspects of design, drafting, blueprints, building permits and construction management for new and renovated properties. As architects, we have a full resume of successful residential and commercial projects throughout Manhattan, Brooklyn, Queens, Nassau and Suffolk counties. From small home additions, kitchens, family rooms and new homes to apartment building renovations, retail interiors, lobbies and office buildings, Andreas Letkovsky Architecture will deliver unique and functional designs that enhance the quality of your property. We are the ultimate source for all the successful expertise you will need to survive in today's construction industry. Our architects’ designs have been featured in nationally recognized publications such as: House Beautiful, The New York Times, The New Smart Approach to Home Decorating, Remodeling Today and, Design Ideas for Home Decorating, all of which can be purchased in leading bookshops such as: Barnes & Noble, Lowes and Home Depot. As architects, our aim is to address all your needs and wants, answer all your questions and concerns, and soothe your fears about not getting the right contractor. In fact, we do more than design creative and successful projects, we provide peace of mind and most importantly, we listen to your needs. We believe that designing and building your dream should be a winning proposition. Find out why 96% of our clients have written to us saying they would recommend us to someone they know. William Thompson, AIA & Assoc. Expert consultants for over thirty years on existing and new buildings, site planning, renovations, structures and interiors. Jeffrey P. Gibbons Architect, PC is an experienced residential architecture firm based in Southampton, specializing in custom renovations and new construction solutions. W.A. Sclight Architect, P.C. possesses a well-earned reputation for exact attention to detail, informed by a keen awareness of light, scale, texture and proportion. Specializing in high end additions and renovations to old houses, Baker Batchelder Architects has over twenty years of experience in residential design, projects large and small. They have a hands on approach, working with clients and contractors during the entire process, from initial design and programming through construction. Known for sensitive additions and renovations to fine homes, principal architect Linda Batchelder has a keen eye for excellent proportions and balanced elements. A wonderful flow and sense of light are the back bone of Linda's project interiors, transforming tired rooms into favorite spaces. Her joy in getting to know clients and how they live complements her visual abilities, so that sketches on paper develop into beautiful functioning designs. Good listening and personal attention have been hallmarks that set Baker Batchelder Architects apart. Designs are developed with client input, providing the clients a sense of ownership in the design as well as a welcoming and unique place to call home for years to come. Great importance is placed on satisfying the contemporary needs of their clients while enhancing the existing property and being sensitive to the neighborhood context. Construction is expensive. The firm’s goal is to create construction drawings and specifications that will result in a smooth and error free building process. They consider builders to be teammates, not adversaries, in the construction process. Baker Batchelder Architects encourages a spirit of fairness and cooperation between the owner, builder, and architect while at the same time keeping all parties focused on the goal of timely project completion according to the contract. Examples of Baker Batchelder Architect's work abound in the Southport and Fairfield Historic Districts. As a firm, we pride ourselves on our flawless building designs and our drive to create new and exciting buildings. Each of our projects combines historical elegance with dynamic contemporary designs to help revitalize the urban landscapes of NY. TOC ARCHITECTS was built upon the practices of hard work, fairness and producing high quality designs, and we continue to hold these values close to our hearts as we enter our 20th year in business. Our architects work with each of our clients to create building spaces that reflect their needs and personality, and to ensure that their vision becomes reality. Let us help you design a home that is reflective of your own personal lifestyle, or a commercial building that expresses your business’ unique personality. Whether you want to change a foundation, increase overall square footage, or build a new building from the ground up, we offer an architectural service to transform your vision into reality. We strive to continue the traditions of architecture in today's world by rooting our work in the knowledge of the past, while designing places that speak to the taste and lifestyles of modern living. Blueprint Dreams provides the same services as you would get in a large firm but in a personal "One-on-One" architectural experience. From Schematic Design to Design Development to observing construction, Blueprint Dreams devotes itself to providing an affordable design solution for you. Whether building a new home or renovating an apartment, E.Vincent offers complete construction services. E.Vincent is there to provide the special attention your project requires. Our firm has created an intimate network with the industries best and most respected specialists. Sustainable construction is the practice of increasing the efficiency with which buildings use resources in production and installation. Efficient use of energy and materials reduces negative building impacts on human health and the environment. Practitioners of green building seek to achieve not only ecological but aesthetic harmony between a structure and its surrounding natural and built environment. Every successful project begins by defining a clear set of goals. Whether it’s a budget or time, we listen and create the path for success. Stephen Moser Architect, a newly-established firm for architecture, design, and planning, practices a thoughtful architecture that is responsive to place, sensitive to how people live and work. GMG Designs, LLC - Residential Design and Construction Drawing We provide high quality design and construction drawings for residential additions, renovations and new construction. We have over 30 years experience. As full-service professionals, we manage every aspect of a project from the design stage through the final construction to ensure elegant and successful architectural solutions. Rob White Architect LLC is a full service architectural design firm specializing in custom residential design. Architectural firm specializing in custom homes and remodeling. 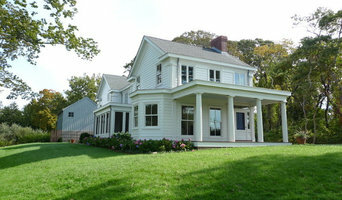 Special emphasis on Classic New England design, custom built-ins and energy efficiency. Jim Denno Design, LLC, is an award winning, small, custom, residential design firm located in Milford Connecticut, serving Fairfield & New Haven Counties, Connecticut and Westchester County, New York. For over 35 years, Jim Denno has specialized in quality custom designs of new residential construction, various size additions and renovations to existing homes, interior condominium renovations, and small commercial projects.Jim Denno works closely with selected contractors and builders throughout the project, assuring quality control, time frame and budget constraints. The core beliefs of the firm are design quality in plan & execution & above all, client satisfaction. Our goal is to provide excellent design that responds to the unique needs & ideas of each client. Architecture, Interiors and Design Full service from concept through construction. Traditional to modern, coastal to mountain, city and country providing beautiful spaces in as many places. Ernest Schieferstein Architecture is a recognized architecture firm located in North Haven, New York. 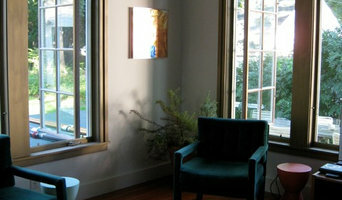 With skill since 1982, Ernest specializes in Architecture, Interior Design and Landscape Design.